MORE than half of people invited to take a new bowel cancer screening test didn’t take up the opportunity – even though it could stop them developing or dying from the disease, according to a Cancer Research UK report published in the Journal of Medical Screening. Researchers looked at how many of the 21,000 people in six pilot areas of England, who were sent an appointment, did not go ahead with the new test. In the most ethnically diverse area, 39% decided to have the test compared to 45% of people in the least ethnically diverse area. And more men (45%) took the potentially life-saving test than women (42%). The NHS Bowel Scope Screening Programme offers a one-off test to 55-year-olds that involves a specially trained nurse or doctor using a flexible tube, with a tiny camera on the end, to look inside the large bowel. The test helps prevent bowel cancer by finding and removing pre-cancerous polyps. It can also detect cancer that has already started to develop, before symptoms are noticed and when it’s easier to treat. Analysis leader Dr Christian von Wagner, senior lecturer in Behavioural Research in Early Diagnosis of Cancer at the Health Behaviour Research Centre at UCL, said: “These are early days for the new bowel scope programme – there hasn’t been a publicity campaign about it yet, and bowel screening is generally not as familiar to people as breast-screening mammograms or cervical-screening smear tests. With that in mind, we were encouraged by the level of uptake in the pilot areas for a fairly new and invasive test, and we were surprised that more men were willing to have the test than women. What we found worrying was that people living in poorer areas seem less likely to take advantage of this screening. 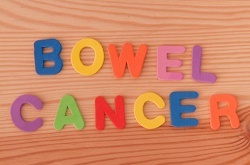 Bowel cancer is the second most common cause of cancer death in the UK, with around 16,200 people dying each year, and 95 per cent of cases developing in people aged 50 and over. Studies have indicated that bowel scope screening could reduce bowel cancer cases by up to 33% and deaths by up to 43% among those who took the test. The screening programme is being phased in across England and is due to be fully rolled out by 2018. It will run alongside and enhance the current bowel cancer screening programme which sends a DIY faecal occult blood testing kit (FOBt) every two years to people aged 60 to 74 in England. This test looks for hidden blood in stool samples, a possible sign of cancer. Dr Julie Sharp, head of health and patient information at Cancer Research UK, said: “The Bowel Scope Screening Programme has great potential to both prevent bowel cancer and detect it early - and research funded by Cancer Research UK will help to ensure the programme is introduced successfully. You don’t need to have symptoms for this test to be effective, but people can choose whether or not to have it and it’s important that they receive clear information so they can decide what’s right for them.